Joe Dombrowski accomplished his first task as a neo-pro, assisting Team Sky in winning the Tour of Oman and finishing the race. The American did the leg-work that contributed to Chris Froome’s overall win on Sunday in Muscat. “Young Joe Dombrowski rode 90 kilometres on the front [on Saturday] which he’s never done before. 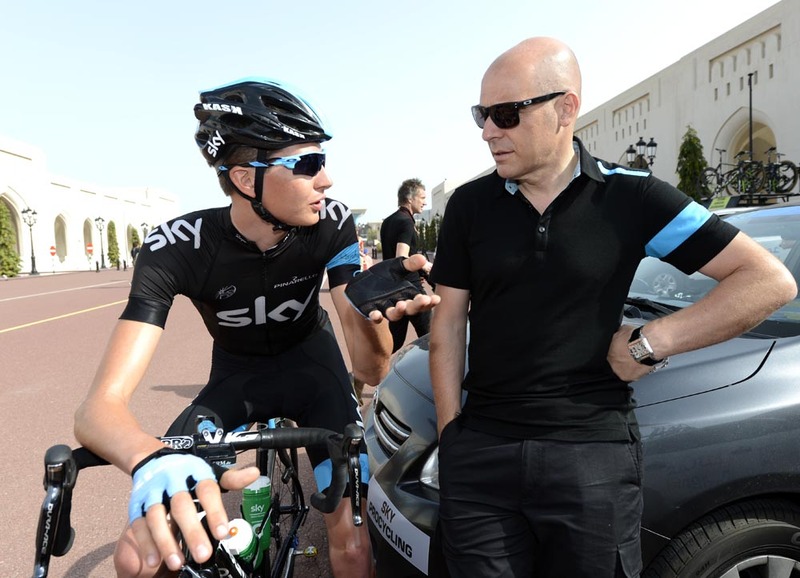 It’s great experience for him, something different and a nice little box ticked for him,” Sky’s principal, David Brailsford told Cycling Weekly. Alongside Froome and Bradley Wiggins, Brailsford also fielded newly-signed riders Dario Cataldo and Vasil Kiryienka. Dombrowski only began racing on the road in 2010. Last year, he became the first American winner of the amateur Giro d’Italia. After several meetings, the 21-year-old made up his mind in August to sign for Sky at the end of September. Besides the Omani stage race, Dombrowski had time to bond with his team at training camps in December and January in Majorca. “The team’s been impressive, really,” Dombrowski told Cycling Weekly. “I don’t have anything to compare it to because I haven’t been on other [professional] teams. Just talking to my buddies in the other teams, and hearing what it has been like for them, I think Sky’s a cut above. Dombrowski will be working closely with Sky’s new coach, Shaun Stephens. It works well as Dombrowski and Stephens have both relocated to Nice. Brailsford is impressed Dombrowski’s performance. In January camp meetings, he selected him in Sky’s long team to support Wiggins at the Giro d’Italia in May. To prepare for the Giro, Dombrowski will work with Stephens and race in Tirreno-Adriatico, Critérium International and the Giro del Trentino. “It’s a little daunting,” Dombrowski said. “I was a little surprised to be selected for a Grand Tour at all in my first year. I definitely didn’t think I’d do the Giro, especially with Bradley going there to win. It puts a little bit more pressure on the team so I figured they wouldn’t put me in something like that.